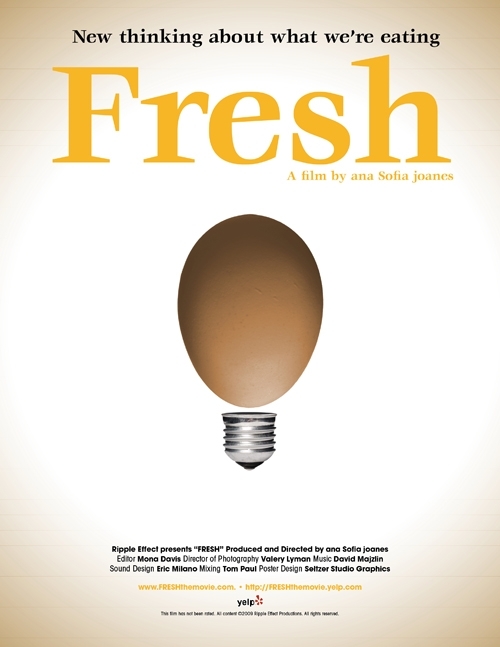 “Fresh- The Movie”, It’s Important! A friend of mine had just mentioned she’d seen a movie called Food Inc. , a film that documents where our food in the U.S. comes from. It shows how our food supply is seriously compromised. After seeing the film however, she was wondered what she could do for her family and community – what action steps could she take? She finds that she is still shopping in supermarkets and has felt a bit ‘powerless’ to change her buying habits. Answers to her questions can be found in a new film by Ana Sofia Joanes called ‘Fresh – New thinking about the way we are eating.’ It is an optimistic movie offering a ‘gateway to action.’ Exactly what my friend is looking for. ‘FRESH is a grassroots efforts for a grassroots movement’. Instead of being distributed in cinemas, it is being offered to communities as a way for people to get together and screen the movie for themselves. In this way, it can be used as a tool for action. This entry was posted on 14/10/2009 at 01:22 and is filed under Animals, Conservation, Environment, Fair Trade, Film/DVD, Health, Holistic Living, MSI News, Sustainable Living/Communities. You can follow any responses to this entry through the RSS 2.0 feed. You can leave a response, or trackback from your own site.